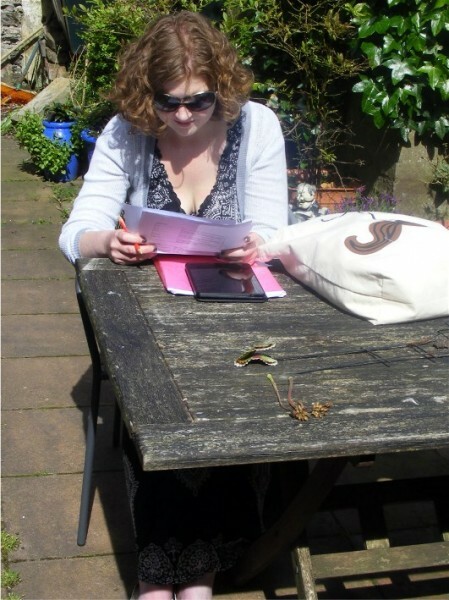 And if you do have to read stuff for work at the weekend you might as well be somewhere pleasant! Awwww, that looks like a super sweet little pup. Have a good trip home! 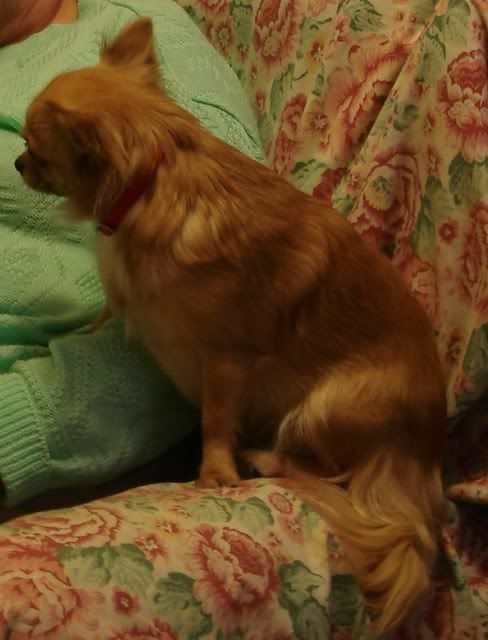 Willow is a rather sweet, now rather elderly, long-haired chihuahua. It would be nice to see some of your pictures again. But I can quite understand that your current family of pups might be rather time consuming! Love both shots. Very cute puppy, and your garden looks so comfy. That alone would be reason to visit. Thank you. The garden is small but does catch the sun for some of the afternoon. Thank you. It would be a good day to be out in the yard today, too. My own favourite is a corner of the settee - but yesterday it was such a nice day that I spent time in that seat out in the yard myself.